Have you found the correct guild yet? •And you might also check GIFT LEVEL. And finally, why are you in your current guild? Many players finally do stay in a guild and remain loyal to it. 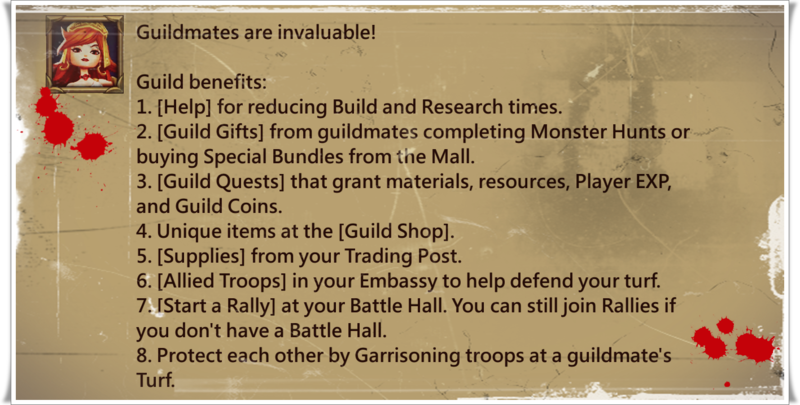 Have you found such a guild? What’s the reason that makes you stay? Personally, I found great friends in my guild 🙂 We work together to improve the guild and i like the respect and support in there 🙂 They have help me a lot and I know i can count on them (^_^) You kill it guys! Yes, friendship is what makes my guild special and literally made me stay in the game. •:• Some are here just to burn all, its a war game after all, so they stick to the big guilds and …speaking about war game.. many have also found their Soul-mates in the game!❤ and you what makes you stay in your guild? Comment below and I'll pick 30 replies to send 500 points. Winners will be announced on July 13.